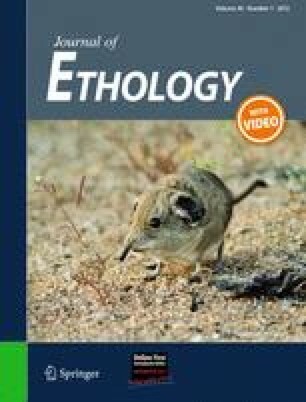 House mice emit ultrasonic vocalizations (USVs) during courtship, which are sexually dimorphic and function to attract mates. Spectrographic analyses of laboratory mice show that USVs are surprisingly complex and have features of song. In this study, we conducted the first spectral and temporal analyses of recordings from wild house mice (F1 from wild-caught Mus musculus musculus). Inspection of the spectral shape of syllables shows that the USVs from wild mice can be classified by both frequency and duration, and the most apparent distinction is between low- versus high-frequency calls. High-frequency calls of wild mice seem to be emitted at a much higher frequency range than previously found in some laboratory mice. Interestingly, we found that 20% of males do not vocalize at all, though the reason for their behaviour is unclear. Future studies are needed to determine what kind of information is conveyed in these complex vocalizations, and why some males appear to be non-vocalizers. We thank Prof. H. Winkler for helpful advice. We are grateful to C. Kohl and H. Sasse for their help in taking care of the mice. F. Galler built the recording box. M. Kalcounis-Rueppell made very constructive comments on an earlier version of this manuscript.